Briggs & Stratton Synthetic 4T Racing Oil is the brainchild of a joint effort between Briggs & Stratton* engineers and AMSOIL INC. Briggs & Stratton came to us with a request: develop a motor oil capable of maximizing horsepower while handling the intense heat and shearing forces inside its competition four-stroke engines. Synthetic 4T Racing Oil is the result. It's specially engineered for competition engines without the shortcomings of automotive, PAG or conventional "karting" oils. It's perfect for racers who want to get the most horsepower and longest life from their engines used in kart, junior drag, quarter midget and other racing applications. Synthetic 4T Racing Oil is formulated with pure synthetic base oils that resist extreme heat common to air-cooled racing engines better than conventional oils. Its increased thermal stability helps reduce operating temperatures and guards against sludge and deposits that rob engines of power, promoting optimum engine performance and life. 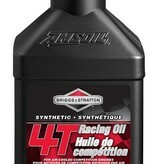 Synthetic 4T Racing Oil combines the horsepower of a lite oil with the wear protection of a heavier oil. It is engineerd with specialized friction modifiers and advanced additives that reduce energy loss due to friction. Using Synthetic 4T Racing Oil helps racers put more power to the ground. 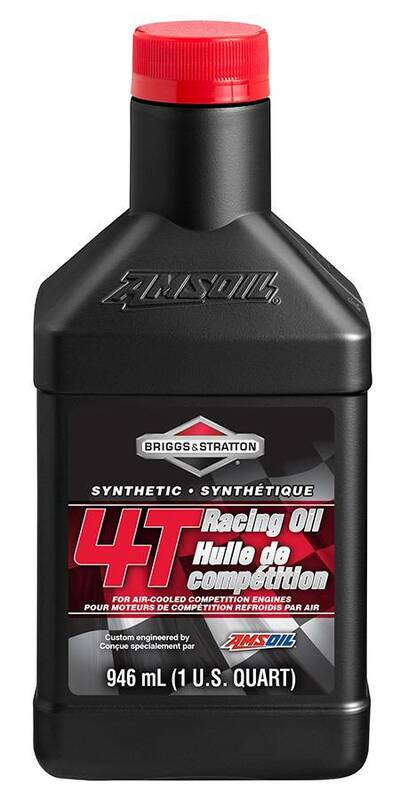 Synthetic 4T Racing Oil is engineered with powerful anti-foam agents. It resists foam common to high-rpm operation to form a durable lubricating film between engine parts, keeping engines protected in the most extreme conditions. Synthetic 4T Racing Oil contains corrosion inhibitors to guard against the formation of corrosion between races and during longer periods of storage.